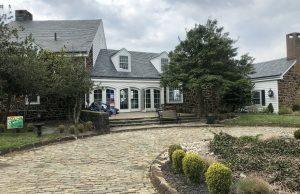 Mary Grace Jamison created PROMise Parlor this year, to help fellow Ocean City High School students look and feel their best with free hair and nail services for the prom May 19. Mary Grace Jamison, an Ocean City High School sophomore spent her free time dancing. Whether it was tap, jazz or ballet, she loved them all, and honed her talent with more than 20 hours a week of practice. The 16-year-old Upper Township girl was diagnosed with juvenile arthritis when she was just two. It didn’t stop her from dancing. But after two surgeries, one just last year to remove calcifications in her ankle and bone chips, along with tendon pain, Jamison realized she had to limit some of her physical activities. Instead of feeling sorry for herself, she decided to go on a quest to make others happy. She soon learned another skill – doing hair. “My mom really taught me a lot, plus I got some tips from YouTube,” Jamison said and chuckled. With a bright smile that matched a sparkle in her eyes, Jamison described PROMise Parlor, her new creation. It is run through the Ocean City High School’s Wellness Club. It gives students the opportunity to get their hair and nails done free of cost, so they could look and feel beautiful for the prom on May 19. Donations are welcome with all proceeds going to the Arthritis Foundation. 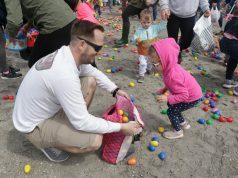 She went to Jill Berenato, a registered school nurse at the high school who runs the Wellness Club with art teacher Molly McKeefery and math teacher Kelly Halliday. 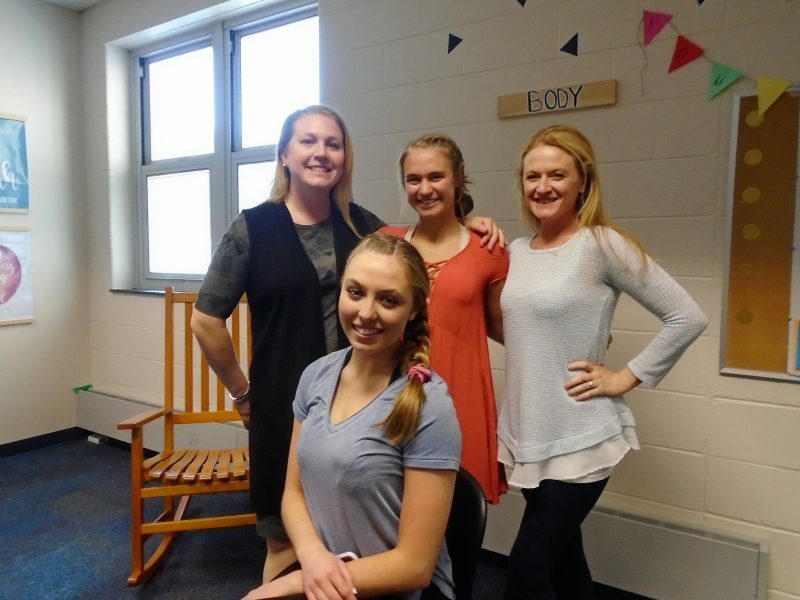 From left; Wellness Club advisor and teacher Molly McKeefery, sophomore Mary Grace Jamison, school nurse and club advisor Jill Berenato and senior Bridget McMenamin, are looking forward to PROMise Parlor. Berenato said they all thought Jamison came up with a wonderful idea. While this is only the first PROMise Parlor, Jamison and school officials hope for many more. “It gets costly to go to the prom. We want to give everyone the opportunity to feel good – if only for one night,” Berenato said. Jamison practiced different styles on Bridget McMenamin’s hair Tuesday. 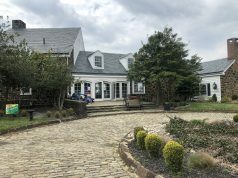 The Upper Township senior said she is looking forward to getting the works at PROMise Parlor. McKeefery said part of what they try to instill at the Wellness Club is doing good things for others. Jamison is a role model. McKeefery said she hopes some of the students who utilize the services at PROMise Parlor will, in turn, do good deeds for others. In addition to Jamison, about 10 people, including students and teachers, are volunteering their time and talent, for the event. So far, there are 22 people signed up to enjoy the beauty treatment. “We are promising to get as close as possible,” McKeefery said of the styles students can choose from. That is how they came up with the name PROMise Parlor, she noted. 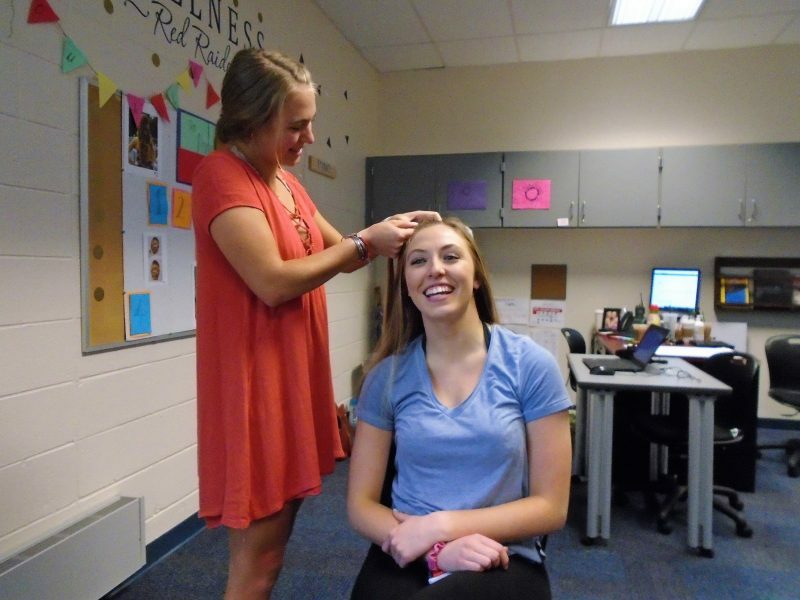 Mary Grace Jamison creates a hair masterpiece in a trial run on Bridget McMenamin for the prom. Pam Rumer, of Cerruti’s Beauty Salon, 1025 West Ave. donated the salon for PROMise Parlor. While doing hair is a far cry from dancing, Jamison said it has been very uplifting for her to help make people feel better about themselves. Her parents Jennifer and Michael Jamison have been super supportive of this endeavor. 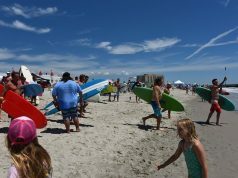 In addition to PROMise Parlor, Jamison participates in beach cleanups and other civic-minded projects. Good deeds are just what seem to make her thrive. And she has big plans for her future. 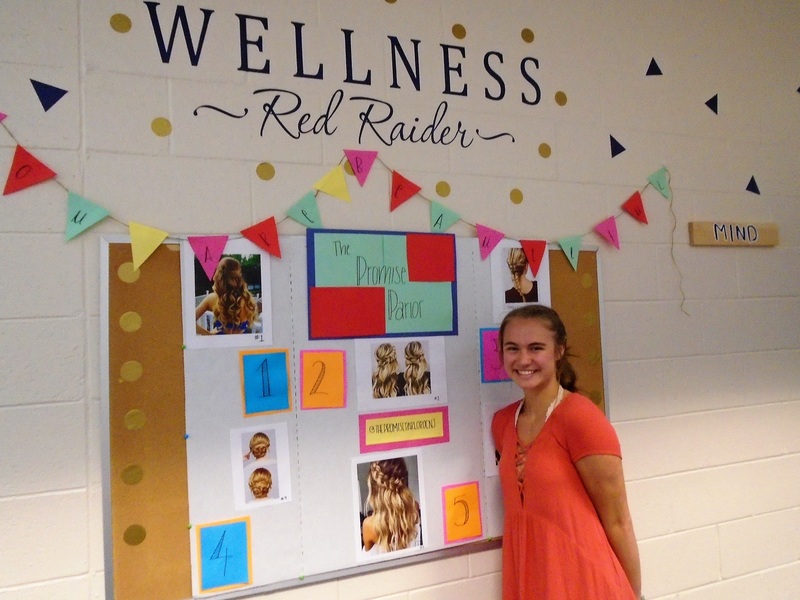 For information about PROMise Parlor students can reach out to Jill Berenato at the Wellness Club.